If you’re looking to get ahead of the game this 2018, it might be time to take your digital marketing strategy up a notch by focusing on your social media customer care or SMCC. With the online marketplace thriving more than it ever has before, it comes as no surprise that social media has essentially taken over the internet, changing the way we make connections and do business. An interesting set of research on websitebuilder.org reveals that 70% of the U.S. population is on social media. 80% of the world’s online population is on Facebook, and 90% of social media users have already attempted to communicate with a brand/company via a social platform. This tells us that the future of business for any brand is on social media, not just the internet. If you want to stay ahead of the online, social wave that is sweeping the globe, here are a few other good reasons to start plugging your SMCC with more intention in 2018. We already understand the point of how important an online presence is for your brand’s credibility, but when it comes to SMCC, this can totally make or break your brand at the most organic level of consumerism: the level of trust. 63% of customers expect companies to offer customer service (CS) on social media, and 56% of global customers already expect a high level of social media based CS. When a company delivers on that expectation with good customer care via social media, 75% of people will share that good experience on social media, 71% will recommend the brand to others, and 65% of people will develop a sense of brand loyalty once they’ve interacted with a brand via social media. Even better, best-in-class SMCC can cause an 81% increase in revenue from customer referrals, an increase of annual ROI by 30.7% and can push customers to spend up to 20%-40% more than they would have. On the other side of that coin, about 29% of all consumers have turned to social media to complain about a brand’s customer support, with women being twice as likely to share details of their bad CS experience online. For every 10 customers that don’t get a response from a brand when they attempt to reach out, 3 of them will choose a competitor brand instead. An unanswered complaint decreases customer advocacy by 50%. A late response can increase customer churn by up to 15%, and 31% of customers who have a bad CS experience will post about it online. While good social media customer care can actually increase customer satisfaction rates by nearly 27%, most brands and businesses are missing out on the opportunity to build a loyal buyer-base. Since 2014-15, customer’s complaints have increased by 8 times and customer interactions have increased a whopping 250% from that time, making up 80% of social-media based customer service requests. However, brands and business are way too busy sending promotional messages to this customers-in-need, instead, sending an average of 23 promo messages for every 1 response they give to a customer for CS. This is rather disappointing for the modern day consumer, as 95% of customer complaints don’t even reach companies and 1/3 of the ones that do are ignored. Yet, 80% of companies seem to be under the impression that their customer service on social media is exceptional, despite the fact that only 8% of their customers agree. 42% of customers who reach out on social media expect a response within an hour of their post or message; 32% expect to hear from a company within 30 minutes, and 11% see no reason why they shouldn’t receive a response immediately, in this internet era. But marketing companies are letting these customers down, with the average response time from businesses being a whole 5 hours or more. Furthermore, only 12.9% of total information demand is met, leaving customers desperately looking for more elsewhere. For the ambitious entrepreneur, this means that there is a pool of unhappy customers looking for online brands who care to reach out to them, and that could be you and your brand. The business owners who capitalize on this need will come out as the kings of social media-based businesses in 2018. Not only is SMCC an area of business with a high demand that is being sorely under-served, it is an area of focus that could give you amazing increases in your company’s revenue and customer retention rates. Best-in-class customer care can give your brand an 81% annual increase in revenue from referrals, and an increase in annual ROI by 30.7%. For customers who get to experience good SMCC, they are likely to spend 20%-40% more than they usually would; 75% of them will share their good experiences on social media and 71% of them will actually recommend your brand to their networks. By simply responding and attempting to resolve a negative tweet, your brand could experience a 3X increase in revenue, and 30% of those customers tell their friends about it. Whether or not you open your eyes to it, the future of digital marketing and strategy demands special attention be paid to social media customer care. Consumers aren’t looking for promotional, impersonal messages anymore. They want interaction, connection and above all, to feel like the brands, they support care enough to serve them where they need it most – on social media. 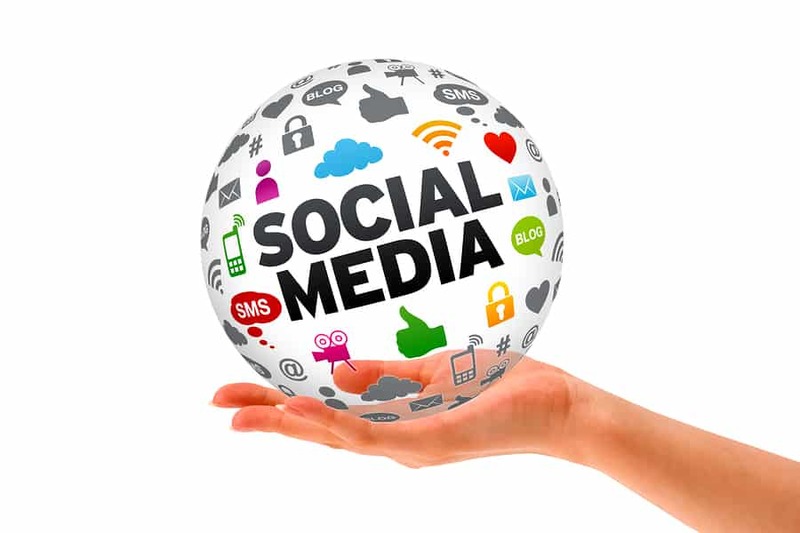 If you need help with your social media marketing, visit our Portland SEO page and find out how we can help you grow. The Importance of Social Media Customer Care in Your 2018 Digital Marketing Strategy	Overall rating:	5	out of 5 based on 48	reviews.